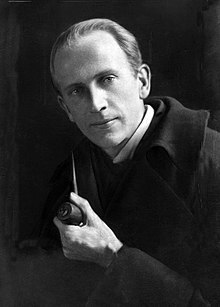 Alan Alexander Milne (/mɪln/; 18 January 1882 – 31 January 1956) was an English author. He was best known for his books about the teddy bear Winnie-the-Pooh and for many poems. Milne's son, Christopher Robin, served as the inspiration of the character of the same name in his Winnie-the-Pooh books. Milne retired to the farm after a stroke and brain surgery in 1952 left him paralyzed. Milne died on 31 January 1956, aged 74. This page was last changed on 16 July 2018, at 19:52.